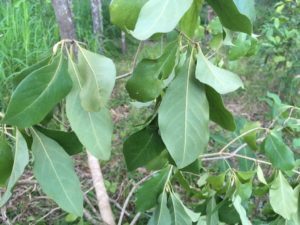 This is a native from Nth QLD, which, like the Umbrella Tree is colonising our region rapidly and is now considered to be a potential weed. 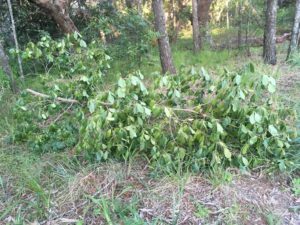 It’s called Pittosporum ferrugineum or more commonly Rusty Pittosporum, and could easily be mistaken for some of the other non-invasive native pittosporums that grow here. 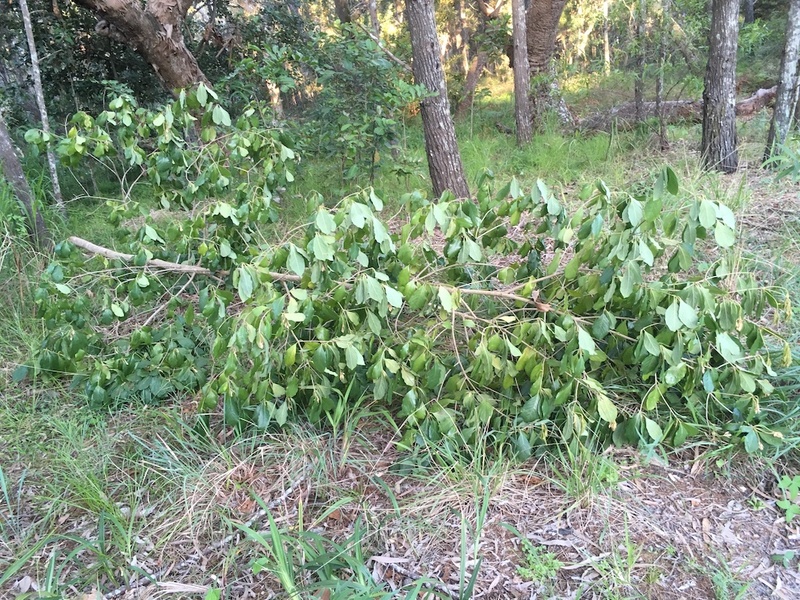 David Mansefield, a Park Ranger from Queensland Parks and Wildlife alerted us to it growing in the Marcus Section of Noosa National Park. He removed a number of them, as well as a huge number the more familiar northern invader, the Umbrella Tree. Col, Graham and I we cleared the isolated outbreak of Singapore Daisy, probably spread by someone dumping garden waste, and some other weeds on the Park edge along Redwood Avenue. Please spread the word amongst your friends to dispose of weeds and garden plants such as mother-in-laws tongue responsibly. These plants can really decimate the native vegetation. It takes hundreds of hours to restore some badly degraded sites where runaway garden escapees rampage. Prevention is so much better than cure.